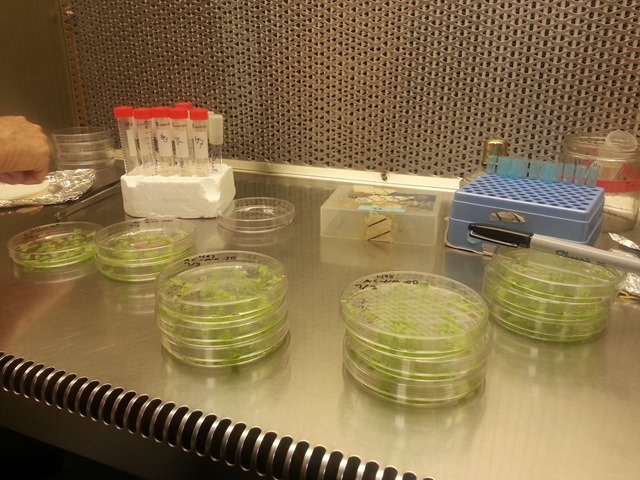 On Day 3 of working in Dr. Cheung’s lab, we worked on starting a leaf disc transformation. We used leaves from tobacco plants and cut out small discs using a leaf borer, tweezers, and scalpels. These discs are going to be growing for about 5 weeks, using a variety of hormones. 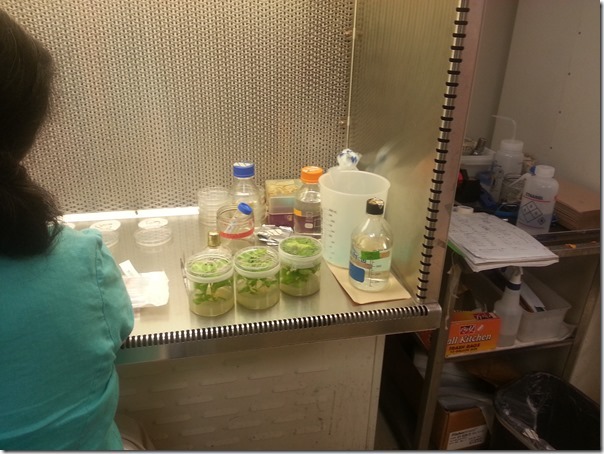 There are multiple methods of transformation, including using Agrobacterium directly on the tissue-the method we used today, which is a live tissue-culture based method. Transformation is the process of changing the genetic code of an organism, and creating a genetically modified organism. It took us a couple of hours to prepare the discs, to which we added agrobacterium to transform the discs. The leaf-discs were placed in a growth medium, and this medium will be changed on Friday.